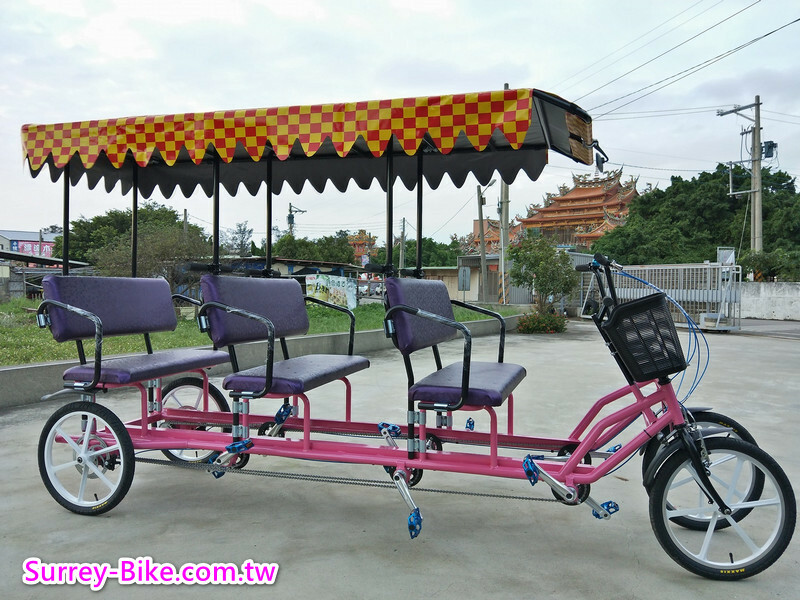 Tourist Rickshaw for 6 person,Tandem Bike 6 people,Velo Taxi 6 person,4 wheels Rickshaw for 6-Sifonco Bike. What a joyful matter to have a 6 person sightseeing surrey bicycle! 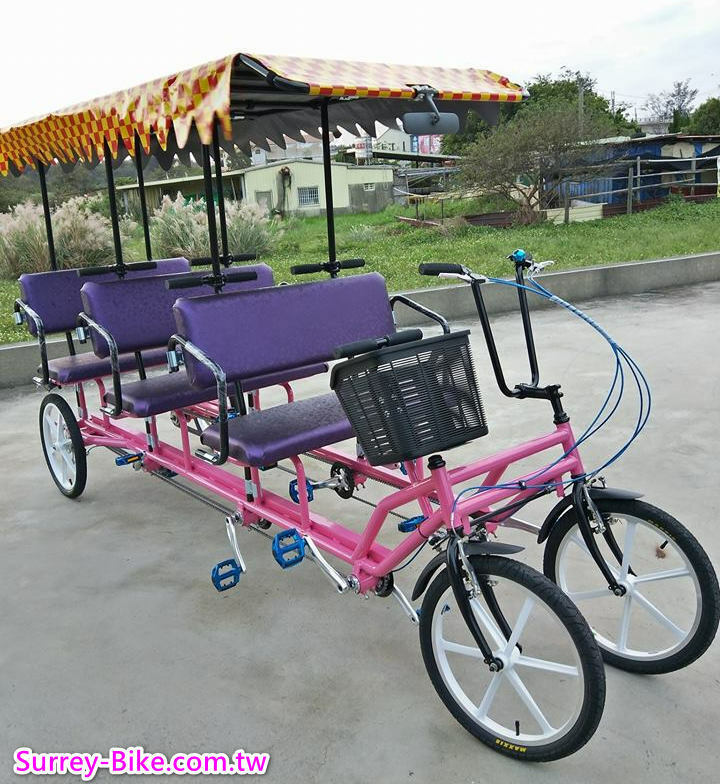 We may also call this Tourist Cart 6 person Quadricycle as "6 person sociable Surrey Bike", "Buddy Bike for 6 people","Sightseeing quadricycle for 6 people","Four-wheels 6 person Buddy Bike". Sifonco Corporation, the supplier and manufacturer of Electric Surrey Bikes, Electric Surrey Bicycles. © SIFONCO CORPORATION, all rights reserved.